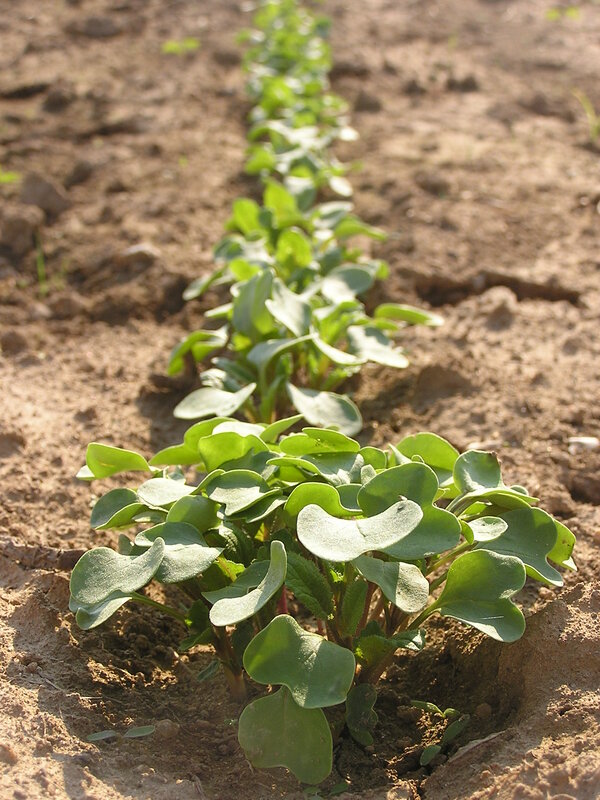 I planted our first batch of fall greens, radishes, turnips, etc a little over two weeks, so in a week or two we should have some of the quicker growing crops–mesclun (baby mustard and asian greens), arugula, and French breakfast radishes–followed soon after by baby bok choy and hakurei turnips. We also have some fennel that is just about ready. We might start harvesting that in the next week or two. As many of our veteran CSA members well know, we don’t always have the best luck with winter squash and pumpkins. 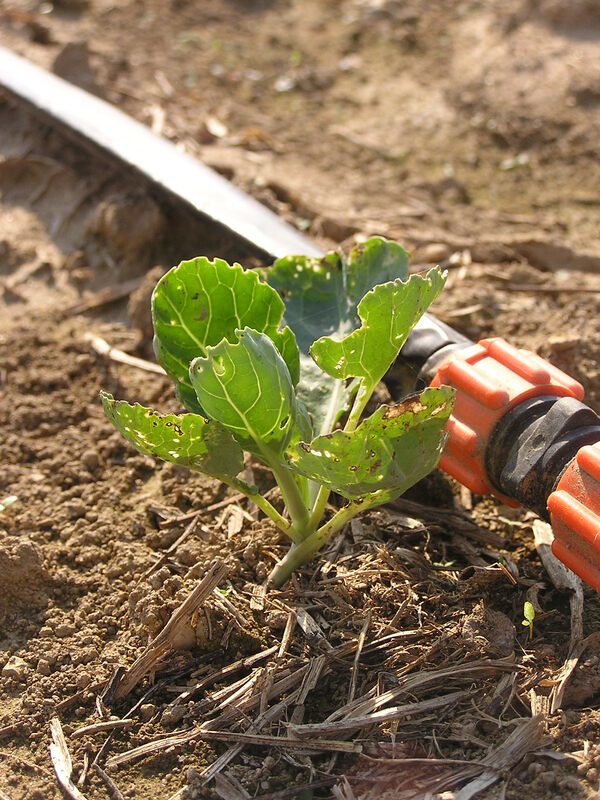 This year we tried planting our winter squash a little later this year to see if that might help them do better. The plants have been flowering for several weeks now and are all forming fruits at this point (butternuts, acorn, sweet dumpling, delicata, and pumpkins). We hope to have some winter squash and pumpkins to offer you this fall. Last weekend was reasonably dry, which means… I was able to take pictures on Tuesday afternoon! Although we’re still toting lots of summer crops to markets and pick-ups, we’ve been thinking ahead to fall and seeding and transplanting lots of fall crops over the last several weeks. And so, I present a taste of what’s to come! From left to right, I present some of our tiny miracle brassicas – Caraflex cabbage, Super Red 80 cabbage, and Nelson Brussels sprouts. 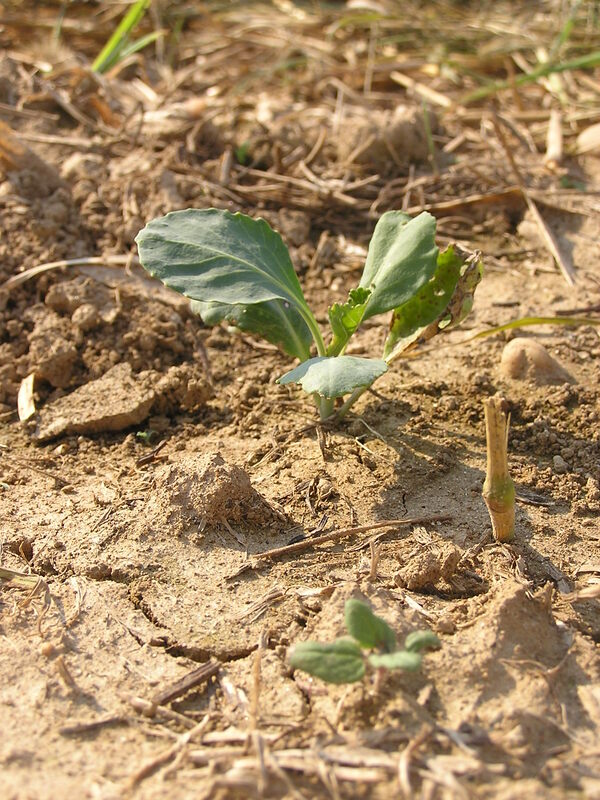 Why miracle brassicas? These, along with some broccoli and cauliflower, were transplanted over the course of last week. They were, however, looking a bit rough, thanks to lots of hungry harlequin bugs and cabbage loopers in the high tunnel – and by rough, I mean, “If these little guys make it, it’s going to be a miracle.” I was pleasantly surprised on my photo expedition this week to see that they’ve all grown a bit, and they each have a few new leaves intact. It’s very encouraging! 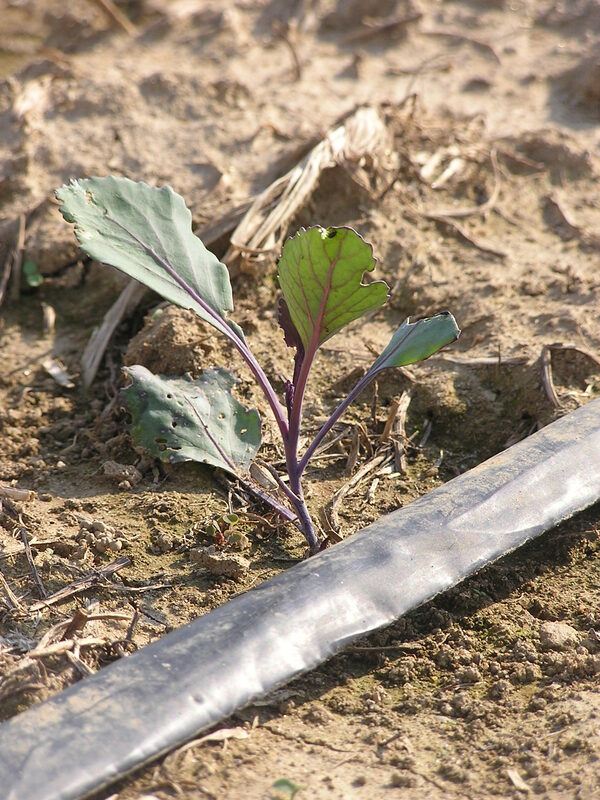 We transplanted kale, kohlrabi, and more broccoli this week, and I’m hoping that they make similar progress over the next few weeks. We have a few plantings of fennel in the ground at the moment. 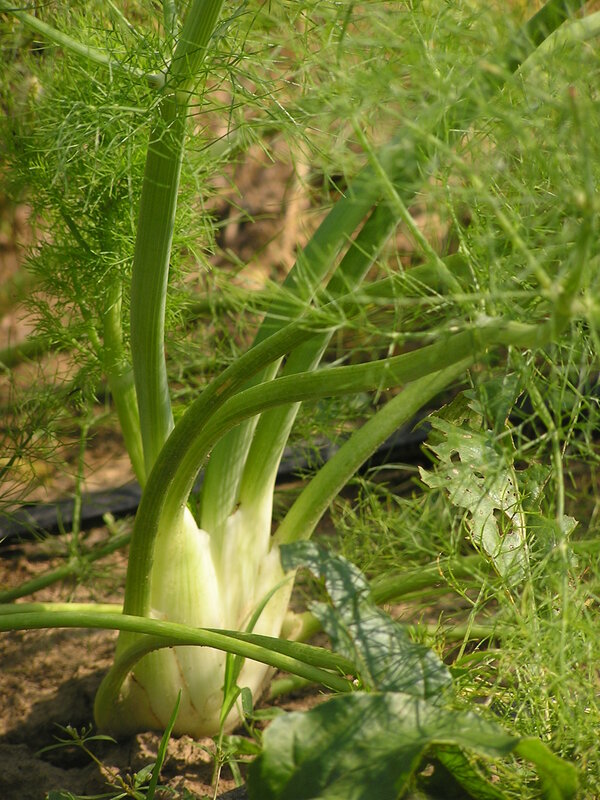 Fennel is a member of the carrot family, and has ferny leaves much like dill (also a member of the carrot family). Fennel has an anise or licorice flavor, and can be eaten raw or cooked. 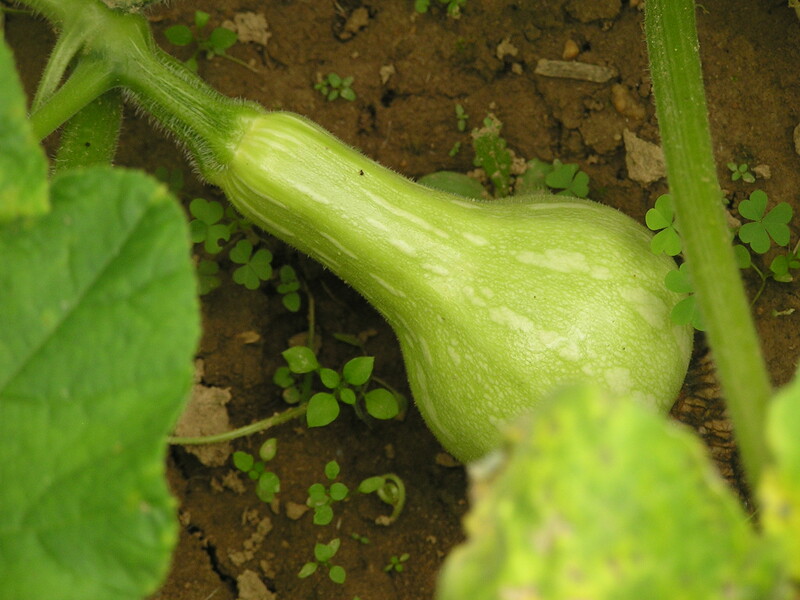 We’ve started to see young winter squash starting to form, like the butternut squash-in-progress here. Of all of the fall crops that I’ll miss after I leave next week, winter squash are second only to sweet potatoes on my list. As we weeded a later planting of winter squash this afternoon, we could see some tiny (1-1.5″) sweet dumpling and Delicata squash starting to form as well! 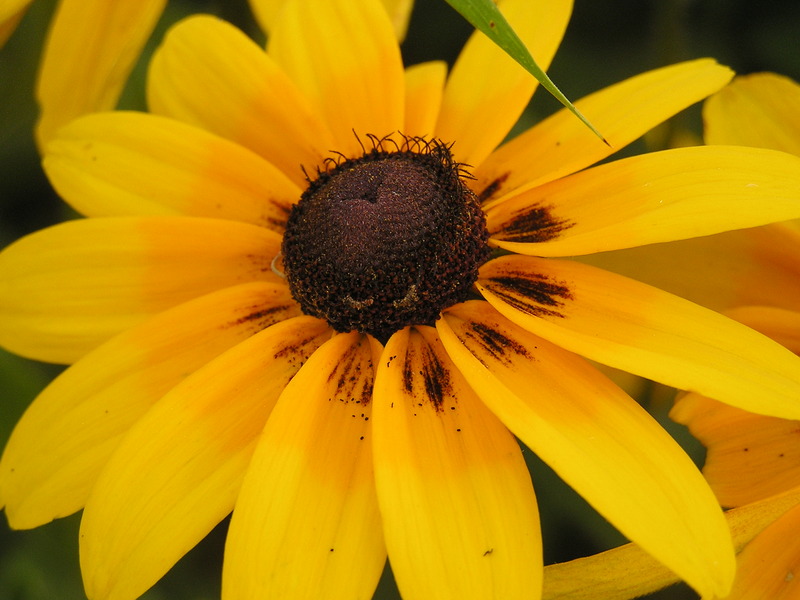 And we’ll finish up with Cara’s obligatory flower pictures – I can’t help it! 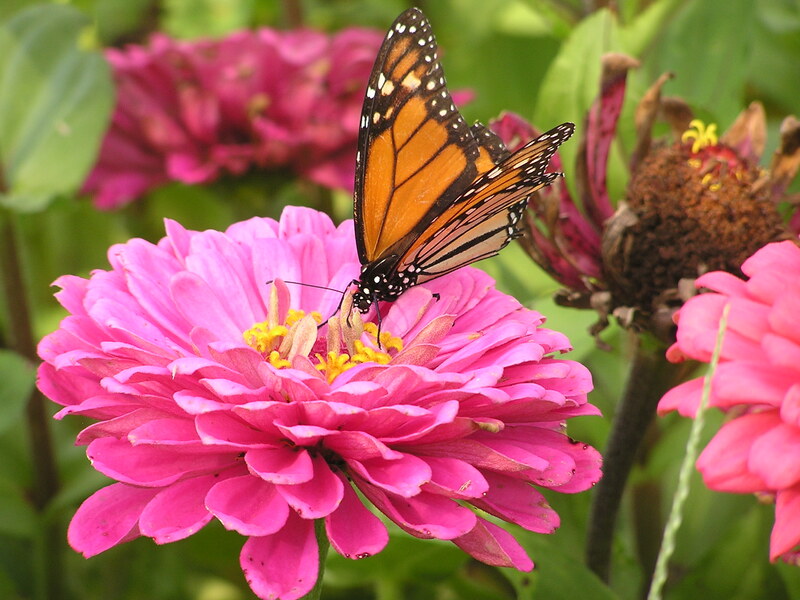 The butterflies are really quite partial to the zinnias, and our second planting of zinnias are looking great! Hope to see lots of you at the market tomorrow morning! I can’t believe it’s my last Saturday market – I’m going to miss them! In Defense of Food was one of the first books I borrowed from Theresa’s collection, before I started blogging. As I finish rereading a chapter of my most recent book (Agrarian Dreams, about organic farming in California – stay tuned!) and taking a few notes for my post, I thought I’d fill the void with a previous read. I read Pollan’s book The Omnivore’s Dilemma in college. Actually, I read it three and a half times in college – it was assigned for my applied plant science class, my community and environmental health class, another environmental science class, and I read a section of it while researching a paper in my freshman writing seminar. (Omnivore and I are good friends by now.) 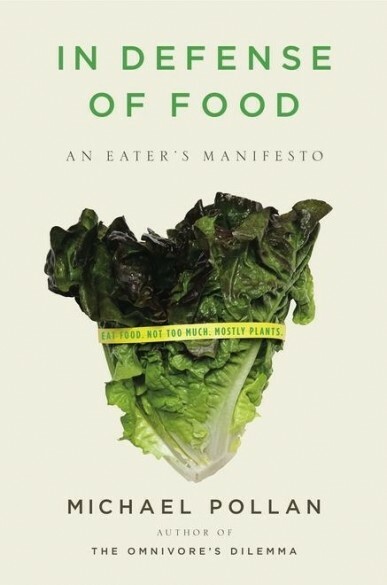 Having found that book very thought-provoking (it was one of the driving factors in my decision to give up eating meat as a junior at Furman), I was excited to read another of Michael Pollan’s books. Not too much. – Pay more, eat less. (Opt for quality over quantity.) – Eat meals – not in front of a TV or computer, not in a moving car; sit down with family and develop a family food culture. – Do all your eating at a table. – Don’t get your fuel from the same place your car does (i.e. gas station food). – Eat slowly and appreciate your food. – Cook, and plant a garden. Mostly plants. – Eat mostly plants, especially leaves. – You are what you eat eats too – beware of industrial livestock feed, antibiotics, etc. – Buy a freezer – buy in-season produce from farmers’ markets, and store it. – Eat like an omnivore – choose a diverse range of foods. – Don’t look for a dietary magic bullet – dietary patterns are more than the sum of their foods.